Easily record movies from your webcam. Is there a better alternative to WebcamRec? Is WebcamRec really the best app in Video category? Will WebcamRec work good on macOS 10.13.4? 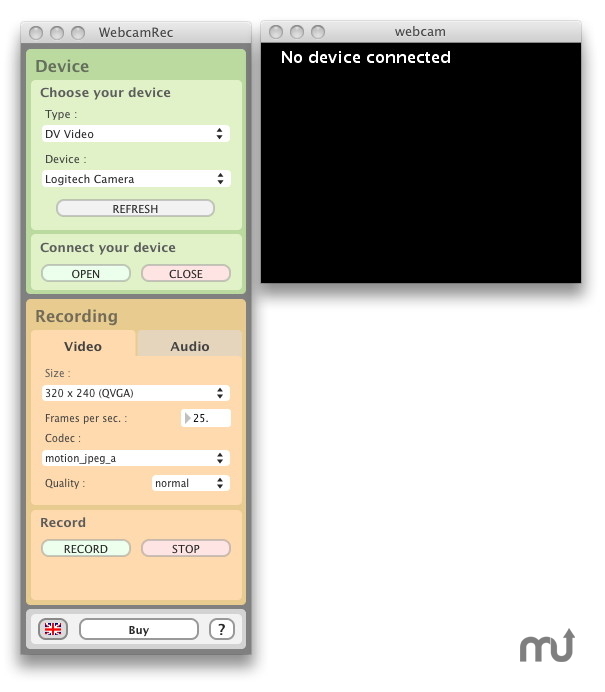 WebcamRec is a simple app to record movies from your webcam (or any other video device connected) in real time. Choose the size, the codec and the fps. Record sound too, thanks to the webcam itself (if permitted), or from another Core Audio device. WebcamRec needs a review. Be the first to review this app and get the discussion started! WebcamRec needs a rating. Be the first to rate this app and get the discussion started!